Quite often it is the home that presents the greatest difficulties through limited mobility or other physical impairments to seniors as they age in their existing living surroundings. Designing for specific physical conditions will lessen the impact of say arthritis, restricted mobility, or loss of vision by using combinations of products, concepts, and techniques available today. These aging in place changes can actually increase the value of your home as you are able to appeal to multiple generations of home buyers. In some cases, those who are doing only consultations are not the ones actually implementing those suggestions or doing the home modifications, which is left up to contractors. However, a CAPS certified remodeler or contractor providing a one stop shop is even more valuable to anyone wanting to age in place. Their construction knowledge enables any aging in place design to come to fruition via practicality and best practices. 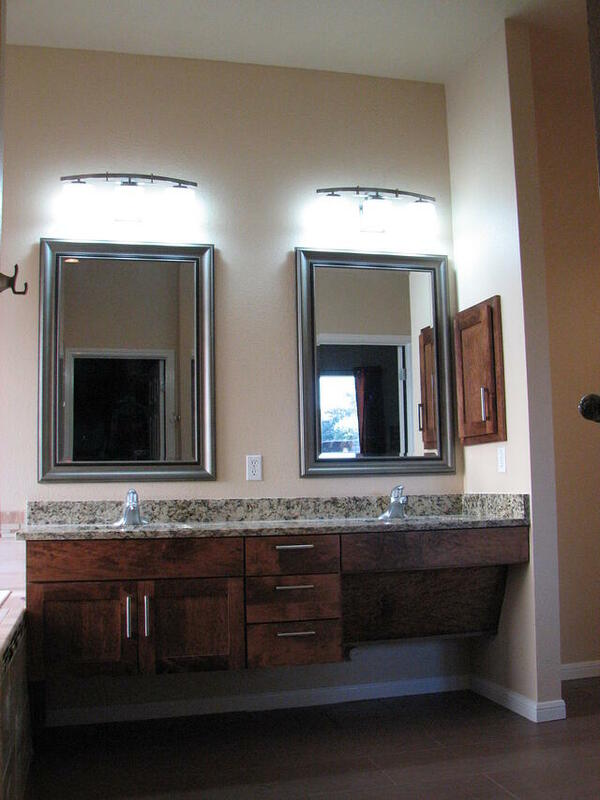 Complete aging in place services and the knowledge of how to carry them out are available to the homeowner through CAPS certified remodeling. On the other hand, any knowledgeable advice from a CAPS certified individual is still valuable. It’s up to these consultants to make sure they charge for their assessment and advise for modifying the home. They will be additionally compensated for their design and once again for a detailed drawing. CAPS professionals are generally paid by the hour or receive a flat fee per visit or project. Typically an assessment takes approximately 60-90 minutes. It’s best if you or a family member can accompany the professional during the home safety assessment, as you or they can ask questions about specific safety items as they come up. A comprehensive Home Safety Assessment can pay for itself by avoiding the high cost of injury or assisted living. During a home assessment for increasing accessibility the structural needs of the client will be noted and documented through sketches, photos, and conversation. 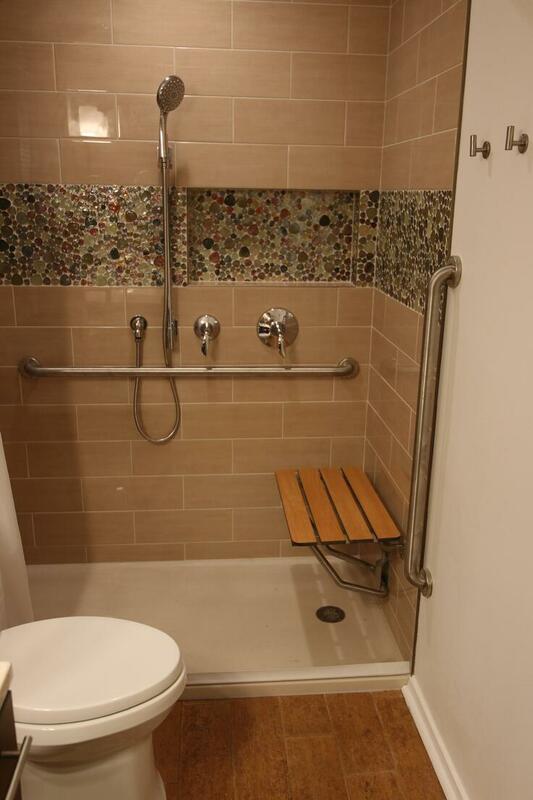 All the surroundings will be taken into account from the flooring to the layout of a specific room or location as it pertains to the inhabitant's ease of usability. The physical and emotional needs of the occupant will also come into play because of mobility, sensory, or cognitive concerns. The goal is to modify the home in a custom manner to provide for the maximum health, independence, and safety of the occupant. Often the input from any caretakers like a physical or occupational therapist during the assessment phase can prove to be invaluable. The three main rooms involved in aging in place home modifications are the bathroom, the kitchen, and the family room in that order. These areas make up the most occupied spaces of any home and will be connected by a designated accessible route. The basic needs involve access through wider doorways, non slip floor surfaces, and adequate cabinet and plumbing fixture accessibility. What is more important is that we must observe safety for everyone as the baby boomers choose to age in place within their homes. 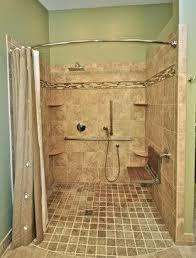 For more information about T-Square Company, visit www.tsquareco.com or call 512-444-0097. 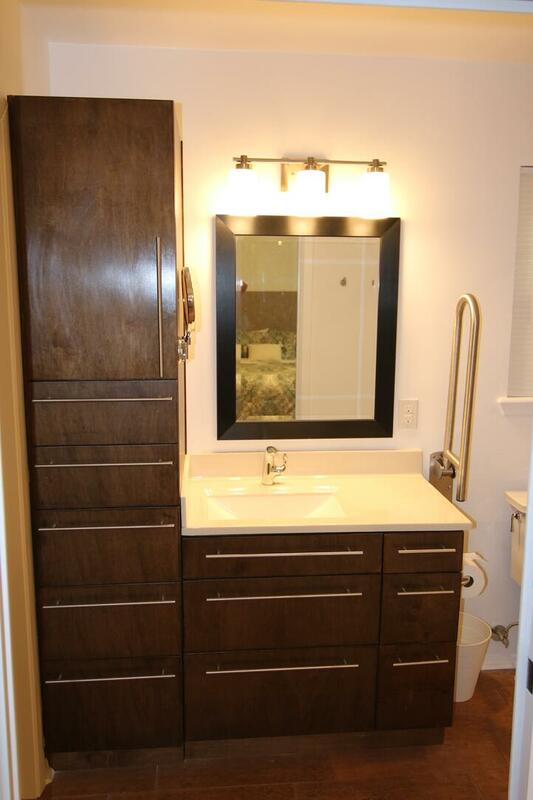 Interior modifications can include adding grab bars or handrails throughout the home, lowering upper cabinets and counter tops to universal design heights, adding non-slip flooring, widening hallways or installing stair lifts, and widening doors to a clear 32" width. You might also consider lowering light switches and thermostats and installing easier to use door knobs. 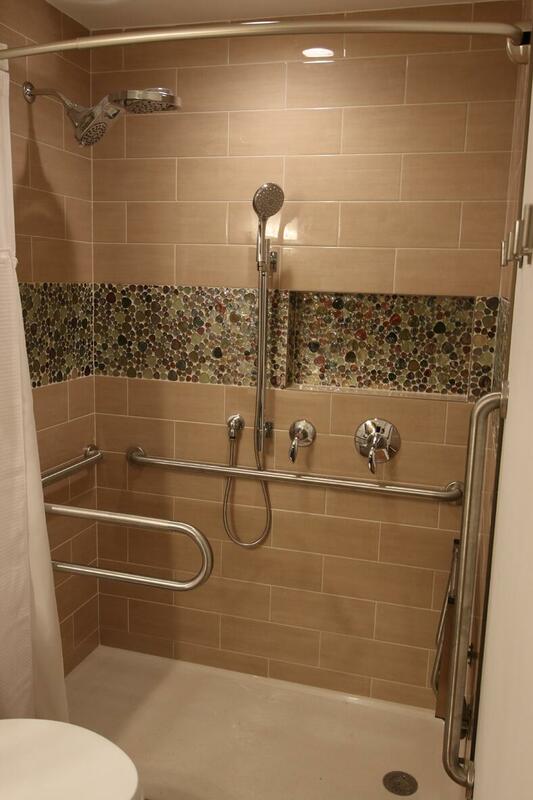 You should try to provide a clear barrier free path or accessible route to the most visited areas of your home like a disability access bath containing an ADA compatible shower. 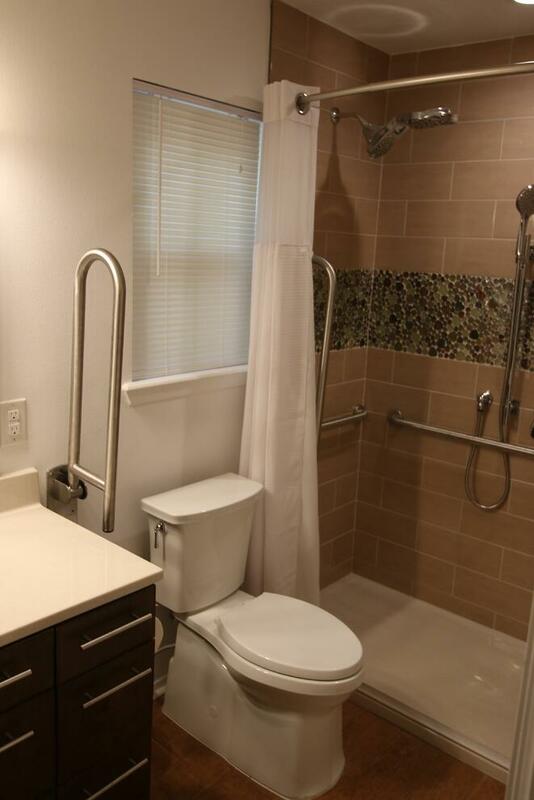 Modifying your bathroom for ADA compliance following practiced wheelchair accessibility guidelines is a great place to start any universal remodel during a handicap accessible bathroom remodel. This will provide access to both wheelchairs and walkers. Furthermore, you can help avoid many future injuries. 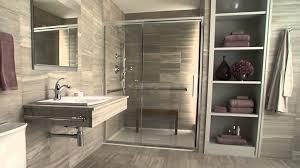 Any wet area like the bath is the most dangerous of all your home's surrounding living space and is the most common area for falls and slips. Simply getting in or out of the tub or shower, using the toilet and sink, or just maneuvering over wet surfaces can be hazardous to your health. 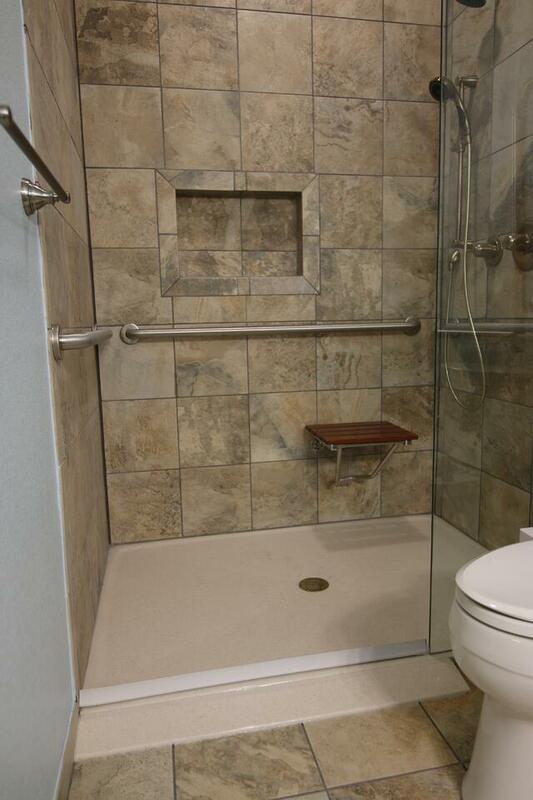 Installing properly positioned grab bars to increase safety is a great place to spend your money on a limited budget around the shower, toilet, and tub. Many of us will face at least a temporary disability during our lifetime requiring some alterations to our living space. Those changes which will greatly aid in maneuvering through our daily routines. The temporary or permanent use of mobility devices signifies a lifestyle change in anyone's future often as a result of an accident. This situation can make getting around safely in our home much more difficult when planning for elder construction. The often used daily paths in our lives will be disrupted and complicated if you find yourself using a wheelchair or walker as a permanent means of mobility. ADA remodeling and universal design ideas begin at the front door using ramps to get around the stair issue mentioned above. The front door may need to have locking hardware complying with special needs. Once inside the home, an accessible design and designated route will let you reach the kitchen or bath without restrictions. The adjusted clearances between walls within a hallway will be wide enough (42" or more) for a smooth passage. Widening the entrances to all rooms to 32" or greater means you can now maneuver throughout the home. By using the correct lever door hardware you will no longer impede mobility creating frustration while moving about. 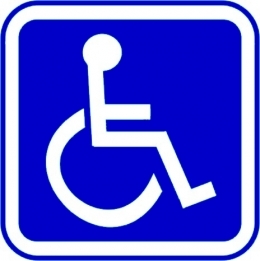 Having an unobstructed turning radius of five feet within each room is also very important for wheelchair maneuvering, especially in the bathroom.